Jermiah is an articulate and friendly child who likes to make people laugh. Some of his favorite things include watching TV, playing with Lego's, and going outside. He enjoys participating in church related activities like kid's church. He loves learning, talking, and being the center of attention. He is a people person who is somewhat shy when you first meet him, but he quickly opens up. Jermiah does upset easily at times and is slow to take direction when upset, but he tends to respond well when he is talked to about his behavior and told why the behavior is not acceptable. He is bonded with his brothers and would like to maintain contact with them. Jermiah enjoys school and enjoys the challenge of math. Jermiah is excited to be adopted. He is ready and willing to be a part of a permanent, loving family. Jermiah desires to be a part of a home that has a mother and a father. His family must be loving, active, and consistent. 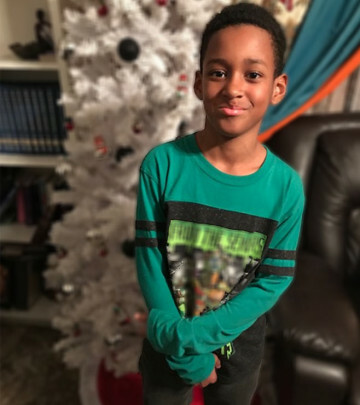 Jermiah will benefit from a family who is patient and experienced with working with children who have a hard time working through emotions. His family will provide nurturing and an emotional connection that is created and sustained overtime. Jermiah's family will have consistent rules, clear goals and reinforce positive behaviors with praise and rewards. The home environment will be highly structured and loving. The ideal family will attend church regularly and be willing to let Jerome participate in extracurricular activities.